Our social experts will create, monitor and manage all published content in a tone of voice and strategy to fit your brand. Our specialists offer a social media management service that will enable your business to keep up with the latest digital marketing trends. By overseeing brand’s social platforms, we generate round the clock high-quality content with consistency and diversity to increase followers and build brand awareness. Our experienced social media team work 24 hours to produce reactive, engaging, high quality branded social content along with immediate responses during live sporting events as well as producing video content, images, competitions and pushing Fansbet offers at weekends too. 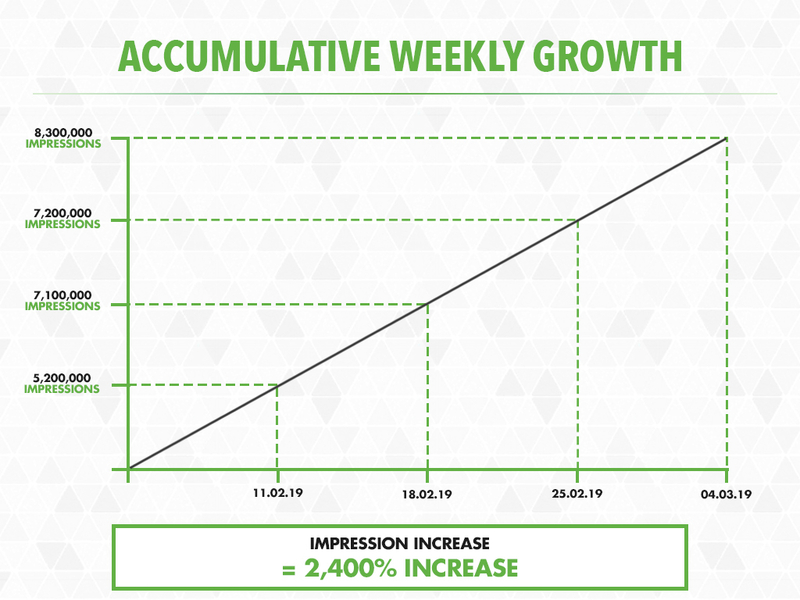 In just a few months we've seen a substantial increase in follower growth and have produced such engaging content that we're hitting 1,000,000 impressions daily which overall has been a 2,400% increase on the original figures with 14,820,000 impressions in February and 26,400,000 impressions in March.